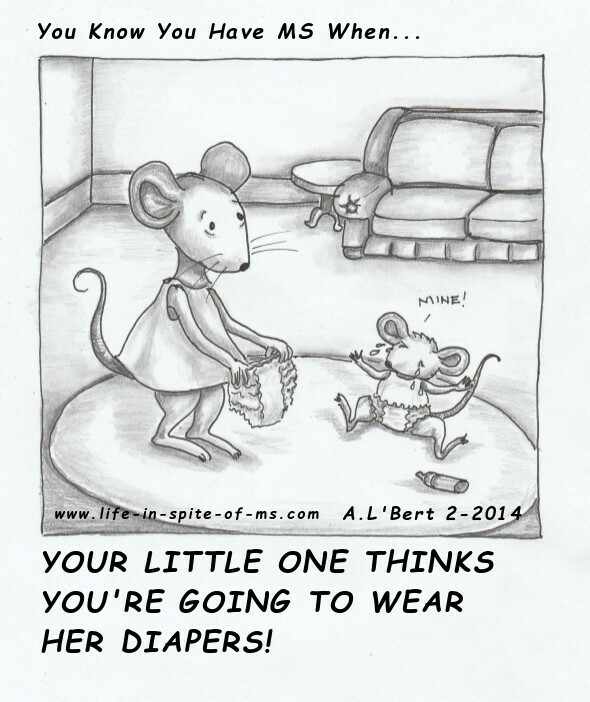 Welcome to the Cartoon Archives of The MS Experience, our newsletter. Can you imagine going through life without laughter? Well, Msers especially, need to be able to laugh. 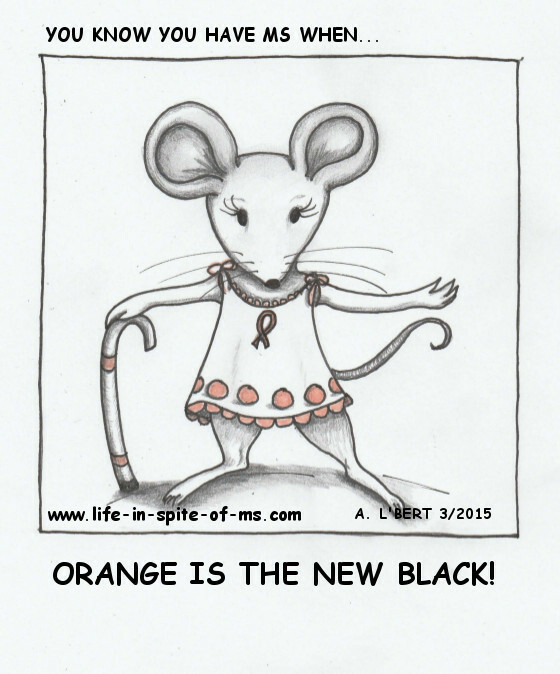 Coping with a condition like multiple sclerosis without it would be too depressing. You may not feel like laughing when something is happening, but afterward, you will probably look back and find something funny about it. 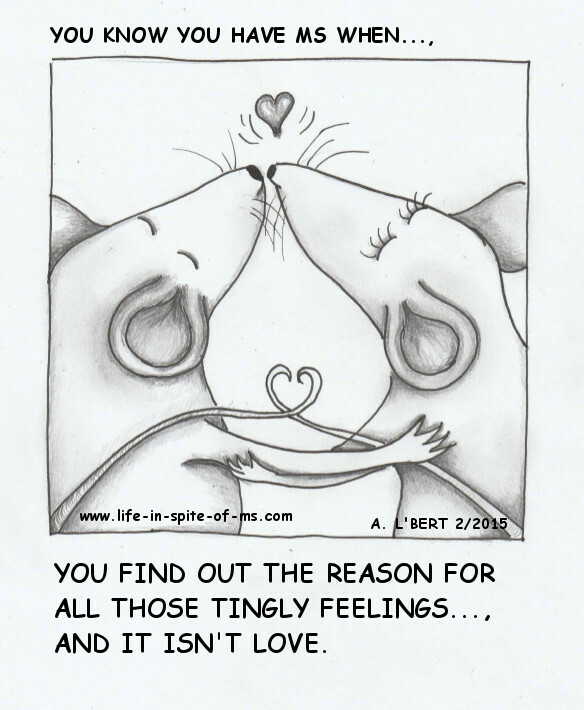 We're putting together a collection of little cartoons that we hope will make you smile. Otherwise, check here towards the end of the month. 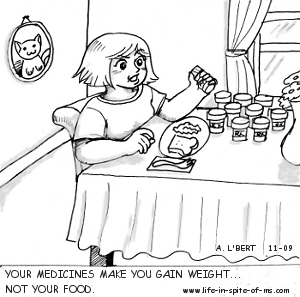 I will add the cartoon here a few days after the newsletter is issued. 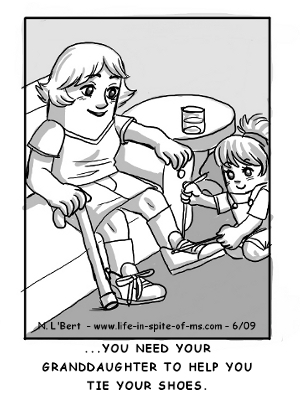 Each cartoon answers the question - You Know You Have MS When...? 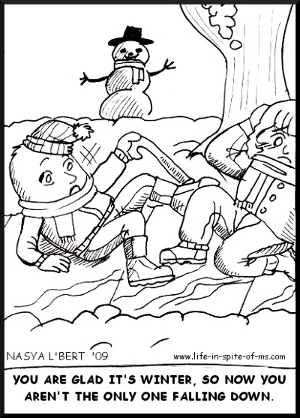 Have you enjoyed the fun cartoons here? 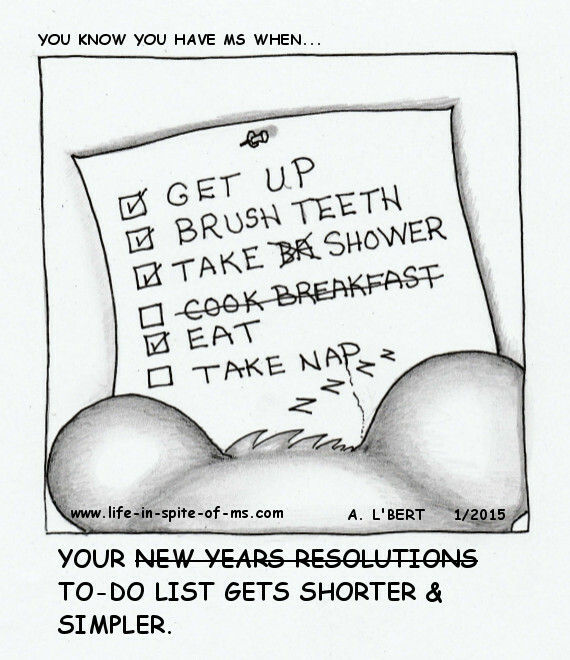 We hope they've added a smile to your day as you deal with the symptoms of multiple sclerosis. 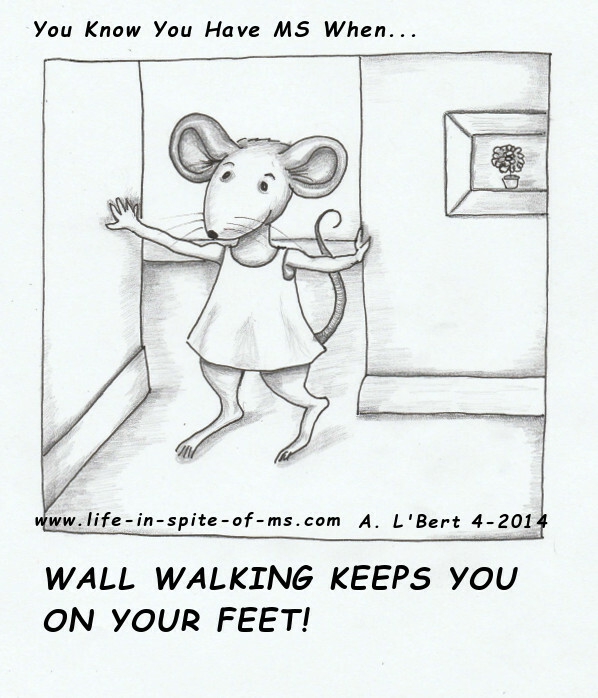 MS can be such a devastating disease for some, from obvious disability to invisible symptoms. make others feel like if you tried just a little harder, you could do better. make you feel as if you are losing your mind. make others feel you are being unsociable. And that's only the tip of the iceberg in terms of the number of symptoms you experience and the effect they have on you. 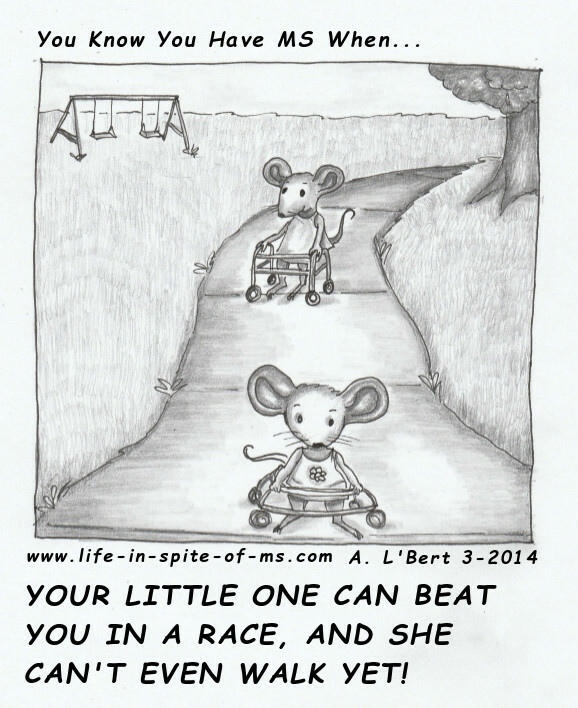 Cliche, I know, however unless someone has MS like you, it's nearly impossible for them to understand what it's like. 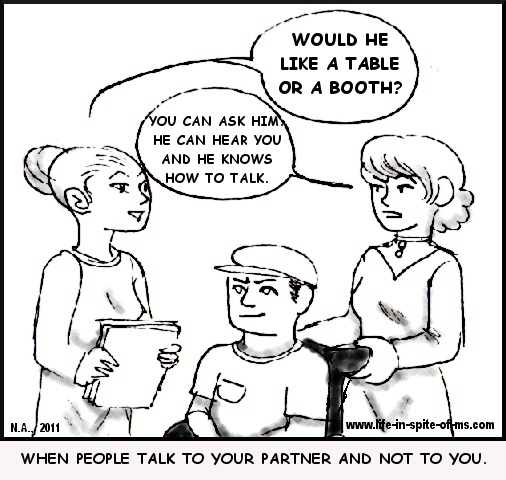 Even as a caregiver, I can only watch my husband try to cope with these symptoms. The images above, though lighthearted and fun, hopefully can shed a little light on your day to day experiences. And maybe they will help you to see the funny side of MS. So check back every month for updates to this page. We will be adding more as the year progresses. We hope you like these images and feel free to share them with your family and friends. You may add them, without alteration, to your website or blog with a link back to our site. 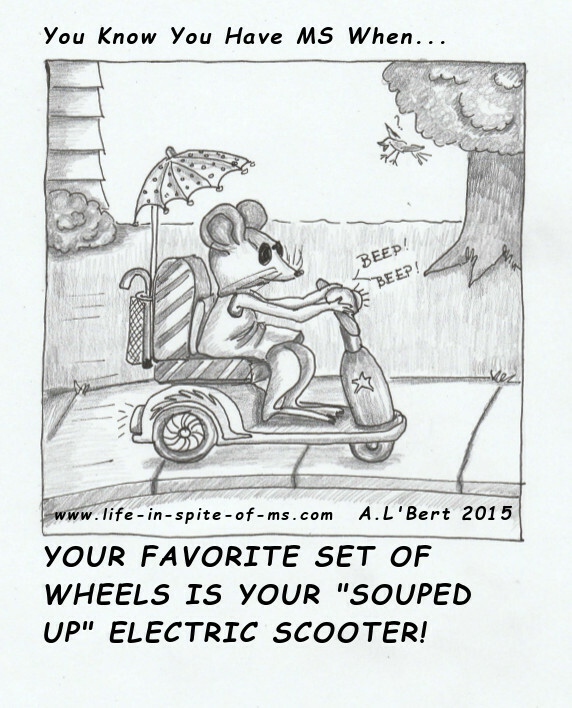 Go to the Life in Spite of MS Blog from the Cartoon Archives.